Śūnyatā, शून्यता (Sanskrit, Pali: suññatā), or «Emptiness,» is a term for an aspect of the Buddhist metaphysical critique as well as Buddhist epistemology and phenomenology. Shunyata signifies that everything one encounters in life is empty of soul, permanence, and self-nature. Everything is inter-related, never self-sufficient or independent; nothing has independent reality. Yet shunyata never connotes nihilism, which Buddhist doctrine considers to be a delusion, just as it considers materialism to be a delusion. The theme of shunyata emerged from the Buddhist doctrines of Anatta (Pali, Sanskrit:Anātman—the nonexistence of the self, or Ātman) and Paticcasamuppada (Pali, Sanskrit: pratītyasamūtpāda, Interdependent Arising). The , part of the Pali Canon, relates that the monk Ananda, the attendant to Gautama Buddha asked, «It is said that the world is empty, the world is empty, lord. 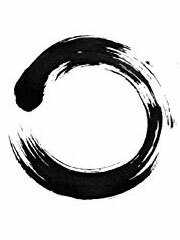 In what respect is it said that the world is empty?» The Buddha replied, «Insofar as it is empty of a self or of anything pertaining to a self: Thus it is said, Ananda, that the world is empty.» Shunyata is a key theme of the Heart Sutra, which is commonly chanted by Mahayana Buddhists worldwide. Shunyata was further developed by Nāgārjuna and the Madhyamaka school, which is usually counted as an early Mahayana school. Shunyata is also key to the Tathagatagarbha literature, which played a formative role in the evolution of subsequent Mahayana doctrine and practice. It should be noted that the exact definition and extent of shunyata varies within the different Buddhist schools of philosophy. In the Tibetan Buddhist tradition, detailed dialogs between the perspectives of the various schools are preserved in order to train students. Sunnata. (Skt. Shunyata) «Emptiness» (sunnata) in Pali contexts is not the metaphysical Zero (Nonbeing as the principle of Being, Infinite Possibility as distinguished from Indefinite Actuality), but a characteristic of this world, as in S IV.295 96, where it has been explained that when the Almsman returns from a deathlike Contemplation in which consciousness and feeling have been arrested, «three touches touch him,” «emptiness (sunnato),» «formlessness (animito)» and «making no plans (appanihito phasso),» and he discriminates (viveka) accordingly; and the meaning of «emptiness» ‘is explained at M 1.29, «emancipation of the mind by Emptiness (sunnata ceto vimutti) being consequent upon the realization that `this world is empty of spirit or anything spiritual’ (sunnam idam attena va attaniyena) «; sunnata is synonymous with anatta; of which it really only paraphrases and isolates the privative AN. It is no doubt in the same sense that in A 1.72, «the texts are coupled with `emptiness’ (suttanta . . . sunnata patisannuta) «; there is, in fact, nothing more characteristic of Buddhist teaching that its constant resort to negatives (above all in the sense of the word anatta), which even some contemporary hearers found perplexing. The denial of spirituality to contingent things in particular is a denial of any real essence to these things in themselves, and thus forms the basis of the more sweeping sunyavada doctrine which in the Mahayana denies not any «value» but any essence to even the Buddha’s appearance and to the promulgation of the Dhamma itself. If such a doctrine disturbs us, it may be found more palatably expressed in the Vajracchedika Sutra thus, «Those who see me in the body (rupena) and think of me in sounds (ghosaih), their way of thinking is false, they do not see me at all . . . . The Buddha cannot be rightly understood (rjuboddhum) by any means (upayena). Not that «means» are not dispositive to a right understanding, but that if regarded as ends, even the most adequate means are a hindrance. In such a radical iconoclasm as this all traditional teachings are finally agreed. What is true of ethics is also true of the supports of contemplation: as in the well known Parable of the Raft, the means are of no more use when the goal has been reached. “what is non-emptiness (Asun’n’a) O’ monks? It is the Soul (attano), Self-Nature (sabhava) is non-emptiness, is the refuge to be sought” . What friend is emancipation of the mind by means of devoidness (sunnata)? Herein a follower has gone to a clearing in the forest and the root of a tree and investigates thusly: ‘This is devoid (sunnamidam) of the Soul and what the Soul subsists upon.” This is called emancipation of the mind by means of devoidness (sunnata cetovimmuti). The fixed unshakable emancipation of the mind is devoid of (suñña) lusts, devoid of (suñña) hate, and devoid of (suñña) delusions. “What is shunyata liberation? He considers: ‘this is void of the Soul and what belongs to the Soul’. The Heart Sutra (one of the Mahayana Perfection of Wisdom Sutras) declares that the skandhas, which constitute our mental and physical existence, are empty in their nature or essence, i.e., empty of any such nature or essence. But it also declares that this emptiness is the same as form (which connotes fullness)—i.e., that this is an emptiness which is at the same time not different from the kind of reality which we normally subscribe to events; it is not a nihilistic emptiness that undermines our world, but a «positive» emptiness which defines it. For Nāgārjuna, who provided the most important philosophical formulation of śūnyatā, emptiness as the mark of all phenomena means is a natural consequence of dependent origination; indeed, he identifies the two. In his analysis, any enduring essential nature (i.e., fullness) would prevent the process of dependent origination, would prevent any kind of origination at all, for things would simply always have been and always continue to be. That things happen is proof that things lack the kind of nature attributed to them in mainstream Indian metaphysics. An interesting consequence of this is that this enables Nāgārjuna to put forth a bold argument regarding the relation of nirvāna and saṁsāra. If all phenomenal events (i.e., the events that constitute saṁsāra) are empty, then they are empty of any compelling ability to cause suffering. For Nāgārjuna, nirvāna is neither something added to saṁsāra nor any process of taking away from it (i.e., removing the enlightened being from it). In other words, nirvāna is simply saṁsāra rightly experienced in light of a proper understanding of the emptiness of all things. The class of Buddhist scriptures known as the Tathagatagarbha sutras presents a seemingly variant understanding of Emptiness, according to which the Buddha and Nirvana, unlike compounded, conditioned phenomena, are not empty of intrinsic existence, but merely empty of the impermanent, the painful and the Self-less. In the «Srimala Sutra» the Buddha is seen as empty of all defilement and ignorance, not of intrinsic Reality. The «Mahayana Mahaparinirvana Sutra» supports such a vision and views Ultimate Emptiness as the Buddhic cognition («jnana») which perceives both Emptiness and non-Emptiness, wherein «the Empty is the totality of Samsara and the non-Empty is Great Nirvana». The Buddha in the Mahayana Mahaparinirvana Sutra further indicates that to view absolutely everything as empty is an unbalanced approach and constitutes a deviation from the middle path of Buddhism: «The wise perceive Emptiness and non-Emptiness, the Eternal and the Impermanent, Suffering and Bliss, the Self and the non-Self. .. To perceive the Emptiness of everything and not to perceive non-Emptiness is not termed the Middle Way; to perceive the non-Self of everything and not to perceive the Self is not termed the Middle Way.» Moreover, this particular sutra contains a passage in which the Buddha castigates those who view the Tathagatagarbha (which is the indwelling, immortal Buddha-element) in each being as empty, declaring of them that they are effectively committing a form of painful spiritual suicide through their wrongheaded stance: «By having cultivated non-Self in connection with the Tathagatagarbha and having continually cultivated Emptiness, suffering will not be eradicated but one will become like a moth in the flame of a lamp.» (Tibetan version of the Mahayana Mahaparinirvana Sutra). The attainment of nirvanic Liberation («moksha»), by contrast, is said to open up a realm of «utter bliss, joy, permanence, stability, eternity» (ibid), in which the Buddha is «full and peaceful» (Dharmakshema «Southern» version).